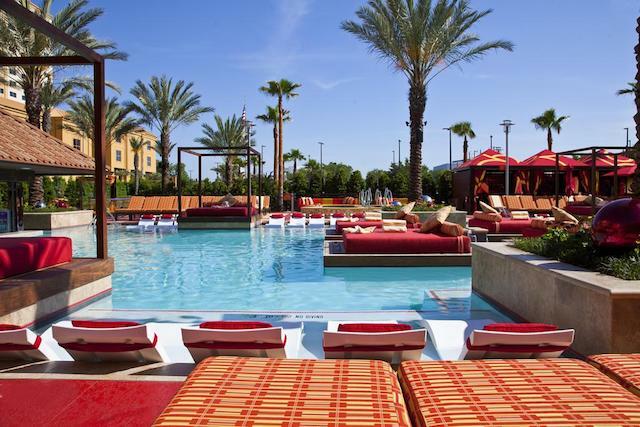 The post What to Expect From Mississippi’s Golden Nugget Biloxi Sportsbook Launch appeared first on SportsHandle. Mississippi sports betting is off and running today, Wednesday, in Biloxi on the Gulf Coast and Tunica, as a pair of MGM properties will cut ribbons. Over a dozen casinos are also preparing for launch this month in those regions where casinos and resorts are concentrated. The Mississippi sports wagering rollout has arrived after regulations went into effect in late June, as the Magnolia State follows New Jersey sports betting rollouts (ongoing). West Virginia sports betting is likely to come next, before football season if things go right. Mississippi Sports Betting Is Officially A Go, as More Biloxi Properties Such as Golden Nugget Prepare Sportsbook and Operations for Launches. Sports Handle (SH): Brad, what’s your background in gaming and sports wagering? Brad Bryant (BB): I started in Las Vegas in about 1996 with Station Casinos. I was the sportsbook manager of Boulder and Sunset Station. I was also the director of race, sports, poker, keno at Aladdin, Planet Hollywood. Briefly with … back then it was Brandywine, now it’s William Hill. I oversaw a couple of their sports books, and then the last seven years in New Orleans at the fairgrounds , race course, and slots, and other slot and race track management. SH: Can you say roughly when can patrons expect an opening? Scott King (SK): We’re targeting as early as August 20th. Our goal is to get it open before Labor Day weekend, the weekend before, just so we can get in the mix. We’re working lock step with the gaming commission, just like anyone else. There’s nothing on our end that’s behind and our renovation is underway. We have an existing sports bar that we’ve actually expanded and renovated. That should be done in the second week of August. All of our equipment is in order. The Atlantic City Golden Nugget and us are kind of in lock step, too. Our Golden Nugget there are working in tandem on this. SH: You mentioned the bar and expansion. What do you expect the physical space will look like upon completion? TVs, number of windows open, perhaps food and drinks available? SK: We’ve got seating for around 120, about 50 TVs, which would be inclusive of those that are over the sports window, I think. What do we have, four? BB: We’re going to have actually five windows and eight kiosks throughout the property as well. SH: Will the menu be typical of what exists in Las Vegas? I know the regulations from the gaming commission, they’re not making any limitations on betting on local college teams. Beyond that, futures, props, in-play? BB: I think we’ll have as much or maybe more than Las Vegas. We definitely will have the in-game wagering and all the proposition wagers, all the futures. Our expectation here is that we’re gonna have a full compliment of wagering options for our business, for our guests. SH: For football, do you anticipate 10 or 20- cent lines? BB: I think we’ll still do the 10 cent, the minus 110 on both sides. I don’t think were gonna do anything any different than normal. Business as usual. SH: Do you think you’re gonna be taking a lot of action on Ole Miss and Mississippi State, and needing to kind of shade your lines a bit? BB: I do think we’ll take a lot of action on those local teams. I’m familiar with what happened down with the Vegas Golden Knights and probably what’s gonna happen with the Raiders, when they get to Vegas. We’re definitely gonna get a lot of wagers on the home teams, like the Saints. But my anticipation, I don’t think we want to be somebody that’s just gonna move the number or try to get ahead of the number, just because we think somebody might bet that locally. We want to have a fair number and we want to move it based off the action when it comes in. SH: You mentioned working with the folks in Atlantic City. We saw there was a recent partnership announced between Golden Nugget and SBTech. For the time being, are you guys handling all the pricing and risk management in-house? BB: We do have an agreement with SBTech, and when we open up we will be partnered with SBTech. SH: This issue came up in New Jersey at The Meadowlands, at a sportsbook not located within a casino: Will patrons be able to cash tickets at the casino cage after the sportsbook closes? BB: Yes, we’ll have a terminal at the cage, so after we close they can go down and cash their tickets at the casino cage. Absolutely. SH: At least 14 or 15 eligible properties have so far applied for a license for sports betting, many in Biloxi. How will or how can Golden Nugget stand out? SK: I think there’s a couple others following our approach where we offer a traditional experience. I think that from what we’ve heard, is that some are going more towards the kiosks if there’s limited space. Where are you based out of? SH: I’m in New Jersey. SK: Okay, so you’re in New Jersey. So I don’t know anything about the Atlantic City market, but I’m sure you could relate — there’s 12 or 13 casinos down here. There’s really three nice ones. We’re one of them. There’s really a couple of us that are gonna compete for what are destination folks that have gone to Vegas for big events. I think now you’ll have folks from the southeast that are thinking ‘Well, instead of flying to Vegas, I could drive down to Biloxi for the weekend’ and we’d be one of their top three. It’s obvious, Beau Rivage has 1700 hotel rooms, we’ve got 700. It’s a much bigger resort. I think that they’ll benefit from that, but with 700 rooms and as far as amenity-wise, that we will have more of a traditional sportsbook feel in there. We already have the nicest pool on the coast, a game changer type pool. SH: From what I understand, with the regulations right now, you can offer mobile on premises, but not beyond that. Are you guys going to be offering that? SK: Yes. We can’t promise it. That date may lag — we’re not gonna delay our opening. Brad? BB: Yeah, we’re not gonna delay our opening to get that enacted, but it should be coming fairly soon after we get up and running. But yes, the intention is, is we will have that mobile app experience on the property. Absolutely. SK: It’s a super-high priority for the gaming commission to be 100 percent confident that someone can’t pull up under your casino or in the parking lot and make a wager. So we’ll do everything necessary to make sure that that won’t happen. SH: Right. In the future, are you guys interested in seeing the commission, or I guess the legislators, make some adjustments to allow mobile throughout the state? SK: I would think we’d be silly not to. We’re not actively lobbying for that … I think that we’re very gracious that the state of Mississippi was proactive a couple years ago [legalizing sports betting pending a change in federal law]. The fact that Mississippi’s out in front of this … we won’t be the last, but being the first in the south is huge, just to build up that equity. It’s no different than traditional gambling, people are gonna gamble out of convenience, first and foremost. But especially states like Alabama, that won’t have it anytime soon, if not ever. For someone who can only come to Mississippi right now and start to get used to it, and goes back to us having a nice sportsbook. SH: Last question. What are you guys most excited about as this prepares to roll out? BB: Well, I’ve experienced a sportsbook on a Sunday morning in Las Vegas, and I think I may be one of the only ones down in this area that have really experienced that on a regular basis. I’m excited for the guests to be able to come in and have a full wagering menu at fair odds, that they may or may not have been getting with their, as you say, they’re offshore, or illegal bookie. But I’m also excited for the casinos to be able to see the amount of people that are gonna come in on a Sunday morning and bet these games, and hang around all day and drink. There’s just nothing like it in my mind. It’s just special,. SK: Wearing my marketing hat, I have a new product with a limited supply and high demand. So that’s fun to market that, it’s not real fun marketing a car giveaway because everyone gives away a car every weekend. But to be able to put up a billboard in Alabama saying, “Come to Mississippi and bet on sports.” Heck, it’s fun right now.